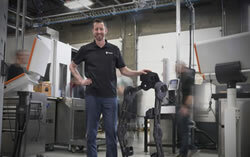 The ATI Robotic Tool Changer provides the flexibility to automatically change end-effectors or other peripheral tooling. These tool changers are designed to function reliably for millions of cycles at rated load while maintaining extremely high repeatability. 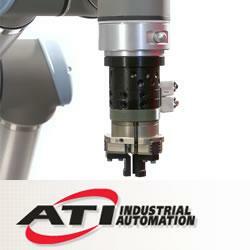 For this reason, the ATI Tool Changer has become the number-one tool changer of choice around the world. ATI Tool Changer models cover a wide range of applications, from very small payloads to heavy payload applications requiring significantly large moment capacity.